October is Domestic Violence Awareness month. 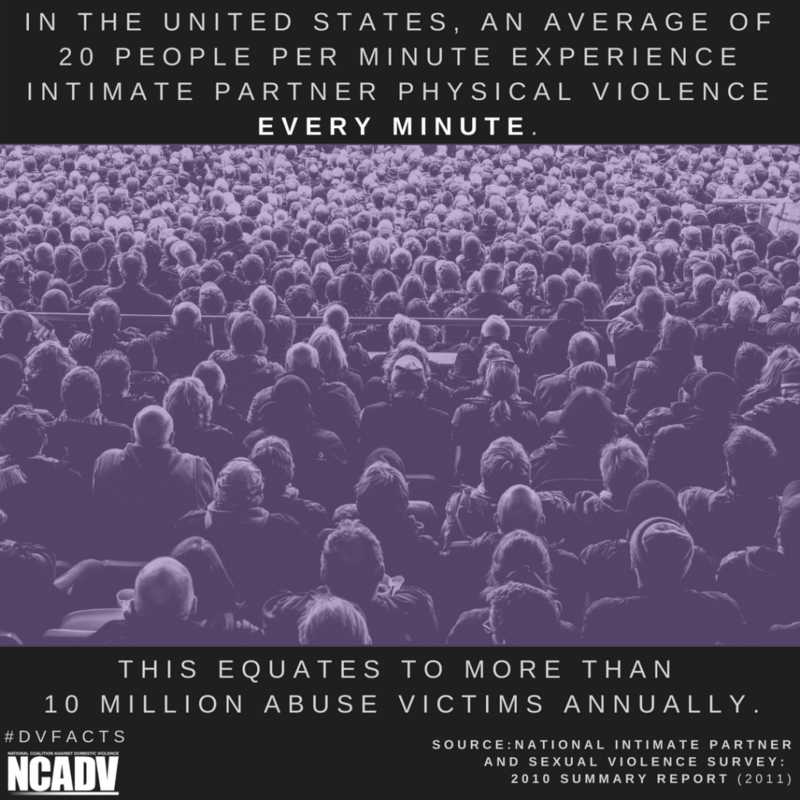 According to the National Coalition Against Domestic Violence, “An average of 20 people per minute experience intimate partner physical violence. This equates to more than 10 million abuse victims annually.” Domestic Violence is morally and lawfully unjust. The effects of Domestic Violence are devastating to the victim and their loved ones. Domestic Violence often leads to death, physical injuries, emotional and mental scarring, as well as economic insecurity. The YWCA mission is to eliminate racism, empower women, promote peace, justice, freedom, and dignity for all. As part of our mission, we honor all of those who have lost their lives due to domestic violence, support victims, survivors, and those who continue to suffer in silence. Our goal is to spread awareness and hope throughout October and support our community partner, The Women’s Center (Domestic Violence Organization) all year round. The Women’s Center of New Bedford has been servicing domestic violence victims for more than thirty years. The New Bedford Women’s Center Hotline: 508-999-6636 or their business office:508-996-3343. You can also find out more about the Services the Women’s Center provides by visiting their website by clicking HERE. Clothsline Project Display, Tuesday, October 16, 2018 at 10:00 a.m., The University of Massachusetts, Dartmouth in the Campus Center. The Clothsline Project Display are unique t-shirts designed by victims and survivors of domestic violence, sexual abuse and loved ones who have designed a t-shirt in memory of those who died from domestic violence. The display is will be hung up in the hallway and will present a powerful, emotional and captivating story of each victim through art therapy. The public is invited to gather on the steps of New Bedford City Hall at 6:00pm and march in silence to the Unitarian Church (corner of 8th and Union st.), where a program to remember victims of domestic violence homicide will be held, including the clothsline project. ← Voter Registration: Deadline to register to vote is October 17, 2018!